At St. Martin de Porres, my elementary catholic school in Columbia, South Carolina, the playground served as a venue for a myriad of activities. Tucked into the corner, away from the noise of the playground, is an assembly of girls. With the right foot forward, one hand on the hip and the other stretched out in front of them, they demanded that somebody stop in the name of love. All the while in another little corner is a group singing about love and an unreachable scratch that keeps itchin’ the heart! as hips swing and heads bob, the nuns glide silently by. Lip-synching was the one activity they did not interrupt or keep in check. Their silence seemingly was a sign that they understood the itchin’ of the heart and heartbreak. I imagine now that perhaps in the quietness of their hours, they secretly watched The Supremes on Hullaballoo, The Ed Sullivan Show, The Red Skelton Show, Mike Douglas, or The Tonight Show, pledging to say 10 Hail Marys and Our Fathers afterwards. 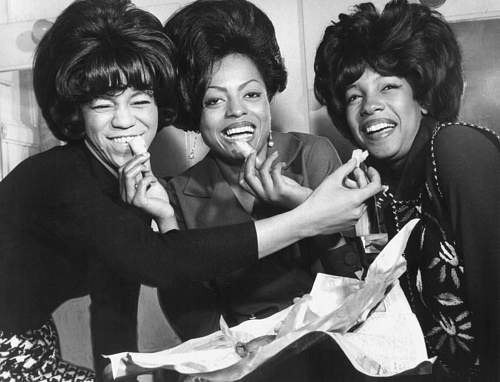 Whatever, the reason, The Supremes and their music captivated everyone, after all it was the 1960s. Florence Ballard, Diana Ross, and Mary Wilson having some backstage fun. In the 1970s, word spread about an impending break-up of The Supremes and Ross’s alleged ruthless campaign to become the lead singer of the sterling group before that. Soon, that group would be introduced as Diana Ross and The Supremes. Fast forward to 1986. 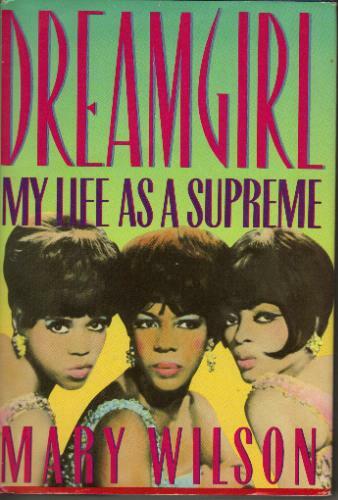 Mary Wilson’s autobiography Dreamgirl: My Life As A Supreme hit bookstores, and, needless to say, I ate up every printed word like a bear coming out of hibernation. Wilson does not hold back in her writing about the alleged affair between Diana Ross and Motown Mogul Berry Gordy. Gossip about the House of Motown plays itself out within the text in every sordid detail along with stories of jealousies, and apparent career sabotage. Oh it was a joy! 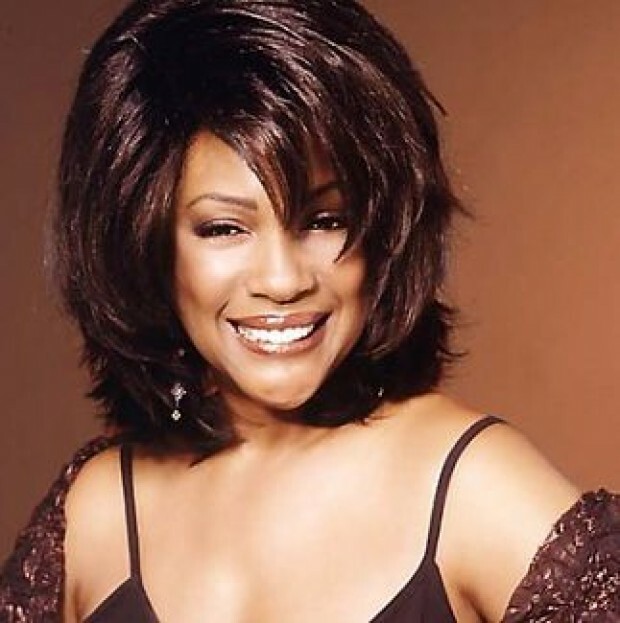 Mary Wilson’s story of three Black teenagers from the Brewster Projects in Detroit, Michigan gave me an up-close-and-personal relationship with three Supreme women who exemplified ladyhood, fashion, and, most important, talent! Each young woman had a body type every teenager could identify with to boot. I leaned towards Diana Ross because she, like I, was no wider than a no.2 pencil. My sister loved Florence Ballard because she was voluptuous; and Mary Wilson was in between! A closer look at Dreamgirl, however, revealed a curious twist. Carefully interwoven in Wilson’s autobiography are two threads of mini-biographies of the original Supremes: Diana Ross and the late Florence Ballard, and it is Ballard’s mini-bio that distressed me the most. 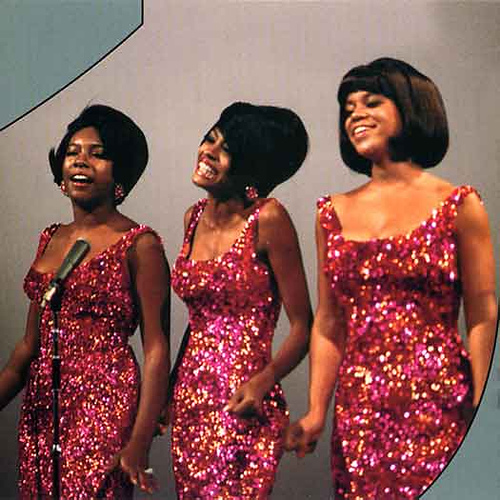 To read how Ballard tried her best make The Supremes an equal partnership and that of her efforts were undermined by Gordy and Ross brought home for me that entertainers really have little, if any, control over their artistic expression. I still idolize The Supremes, but when I hear or read Diana Ross and The Supremes, I feel sorrow because Wilson’s autobiography makes known the back-handed truth behind that name change. The story also scared me since here were two best friends—Mary and Flo—who, after a talent contest decided to go for that Star together; but when Diane Ross entered the picture—to read Wilson tell it–that dream became compromised when Ross and Gordy align themselves with each other. Oh, the intense personal pain and suffering Mary and Flo experienced. 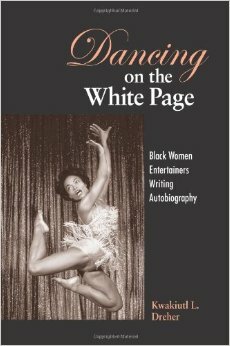 When I began to include autobiographies of celebrities in my book Dancing on the White Page: Black Women Entertainers Writing Autobiography, Mary Wilson’s Dreamgirl was at the top of that list. This autobiography, for sure, removed the scales from my eyes about entertainers and made me more knowledgeable about the entertainment corporate structure and the moguls who run it. What’s more, Dreamgirl outlined a history of Motown, Hitsville, USA—a house that just about every African American girl and teenager dreamed of entering one day! Looking back as an adult, I see that Wilson’s Dreamgirl was a caution: some houses are dysfunctional even though they appear to be healthy and normal.